September 1 marks the first day of “meteorological autumn” and it started out with a severe weather event across portions of northern Arizona. Severe storms are more likely during what is often called the “transition season” as we make the switch from the North American Monsoon weather pattern into a fall pattern. In the transition season the westerlies begin to push southward again as the large area of high pressure over the southwest weakens. Disturbances in the westerlies along with stronger jet-level winds can combine with copious amounts of residual tropical moisture to bring severe thunderstorms to the area. 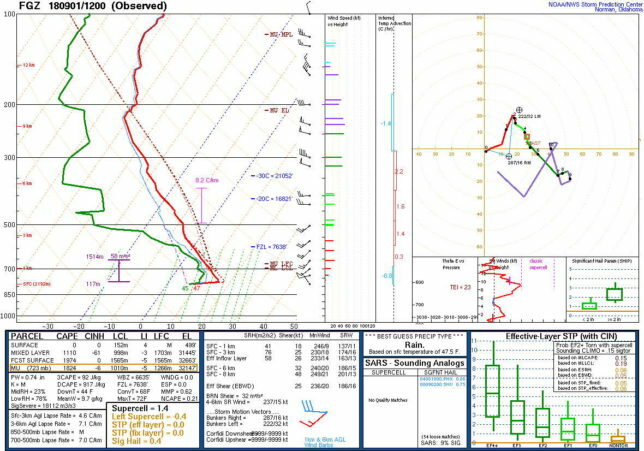 Upper air sounding for KFGZ at 1200 UTC 01 September 2018. 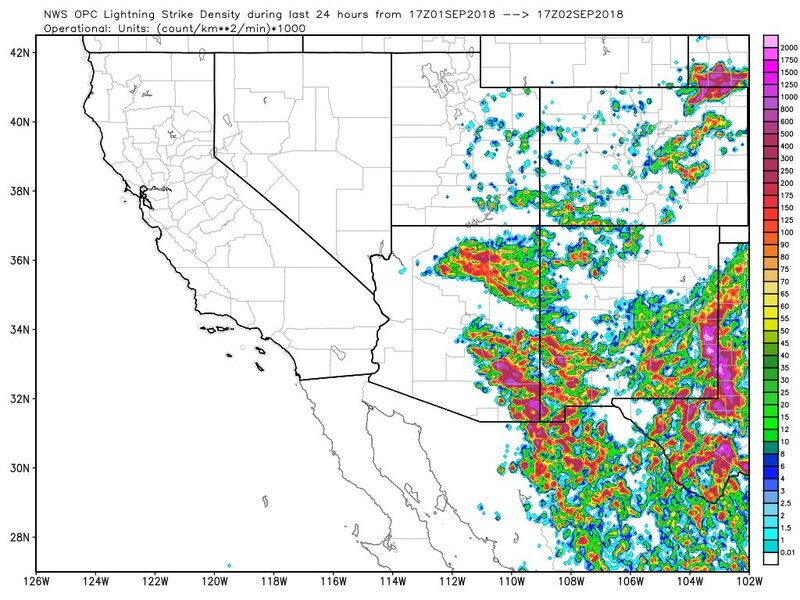 Afternoon runs of the HRRR model showed storms developing along an east-west line across northern Arizona and that some of these would interact with that boundary, become severe and turn to the right moving southeast. And that’s pretty much what happened. Score one for the HRRR model. Reflectivity from KFSX radar at 1607 MST. 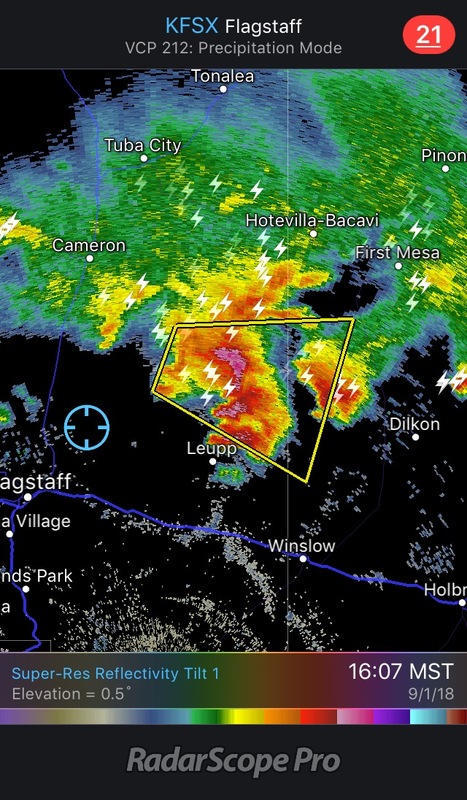 Other storms produced very large hail with a report of 2.75″ hail in Holbrook and another of 2.00″ near Tolani Lake. 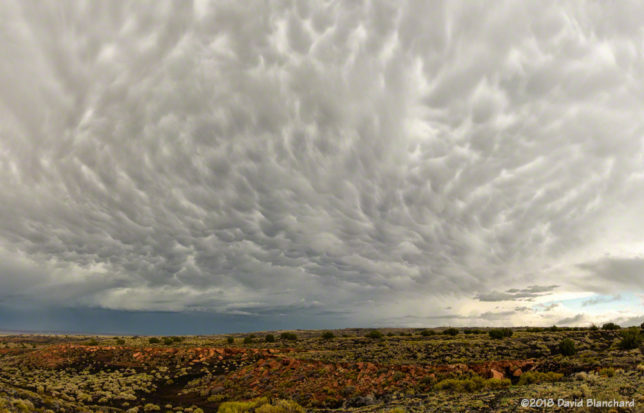 View of rapidly developing convection east of Wupatki National Monument (Panorama from northeast through south). I was watching and photographing these storms from the southern portions of Wupatki National Monument. There was explosive vertical growth in these storms along with some generally unorganized rotation. The storm also developed a rear-flank downdraft. And I was able to hear the “hail roar” (i.e., a roaring sound that originates in the storm cloud caused by large hailstones hitting the ground or colliding in mid-air). I’ve occasionally heard hail roar in High Plains storms but never in Arizona. Low clouds, fog, and a K-H wave in the cold pool behind the storm. Cumulonimbus mammatus behind the storm. 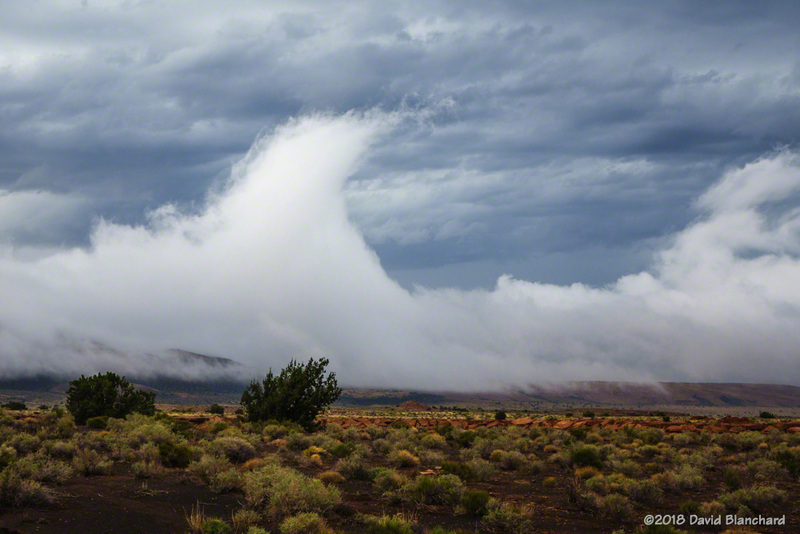 Behind the storm, cold outflow dominated and low clouds and fog quickly developed across the low hills of Wupatki National Monument. A broad area of mammatus clouds was also present. And the lightning was impressive.